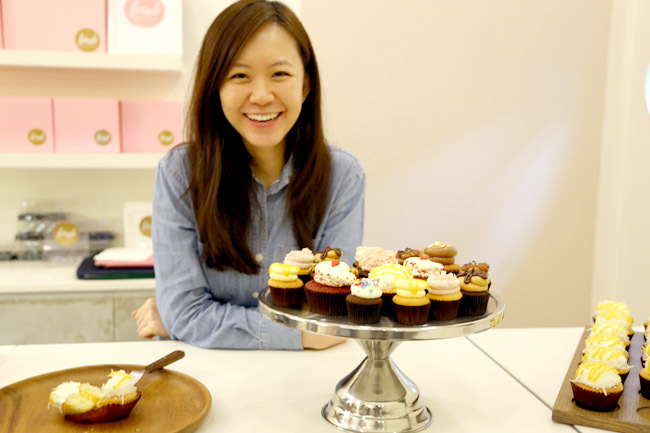 Cupcakes used to be a big fad in Singapore, but have mellowed down, with some core survivors. 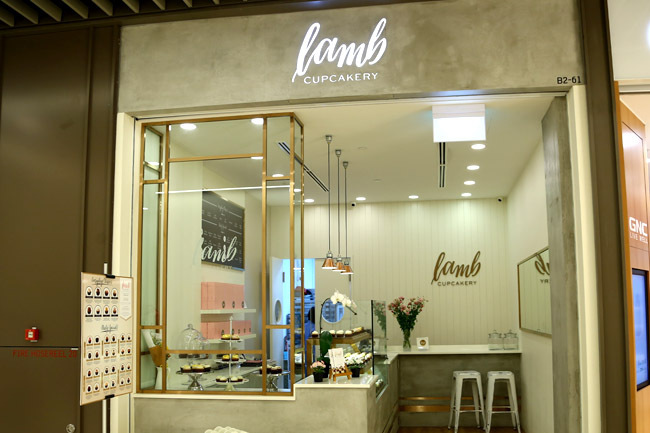 I remember there used to be a small kiosk called Lamb Cupcakery at Valley Point, and was pleasantly surprised to find it re-open at Marina Bay Link Mall. 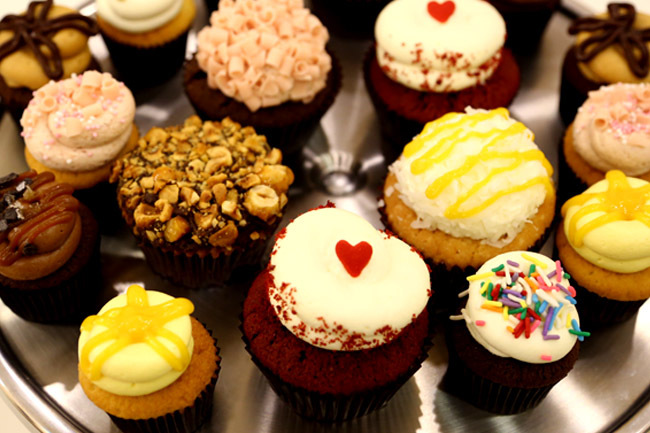 The daily specials include the regular favourites of Red Velvet, Dark Chocolate, Mango, Coconut Snowball, Mango, Strawberry and Vanilla Chocolate. 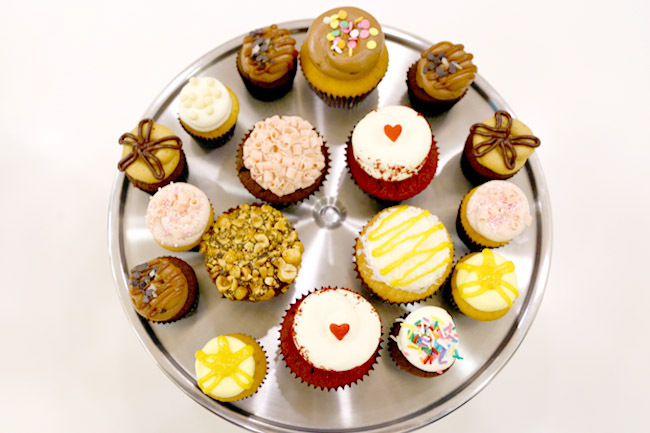 A few other reasons why I like Lamb Cupcakery – different special flavours available daily (for those who love variety), and there is a surprise element inside some of the cupcakes. 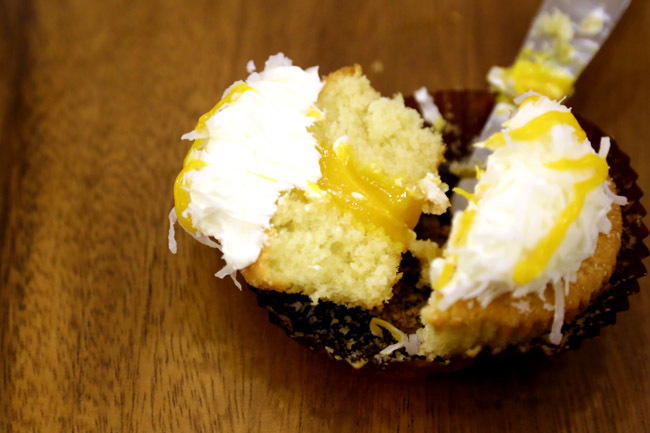 Take for example, the Coconut Mango ($4.30 each) with buttercream covered in shredded coconut, which has a fresh mango curd core within. The texture was moist, and the taste not overly sweet. Some popular flavours such as Vanilla Hazelnut Chocolate gets sold out too fast, too early. 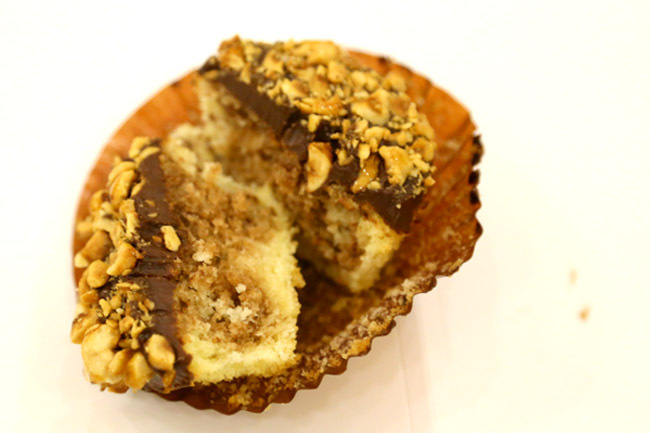 The Madagascar Bourbon Vanilla cupcake ($4.30) comes topped with crunchy caramelised hazelnuts, and when cut open, you would find the Nutella ganache in the layers. Moist and not overly sweet which makes a great teatime treat. The catch: You can only get this special on Wednesdays. ← Free the Robot – Oh, Cute. A Robot-Themed Cafe. $3 Truffle Fries? Loving their cupcakes! as i dun find them too sweet and ‘jelat’ . My most favourite flavour would be mango and milo dino. Shiok!